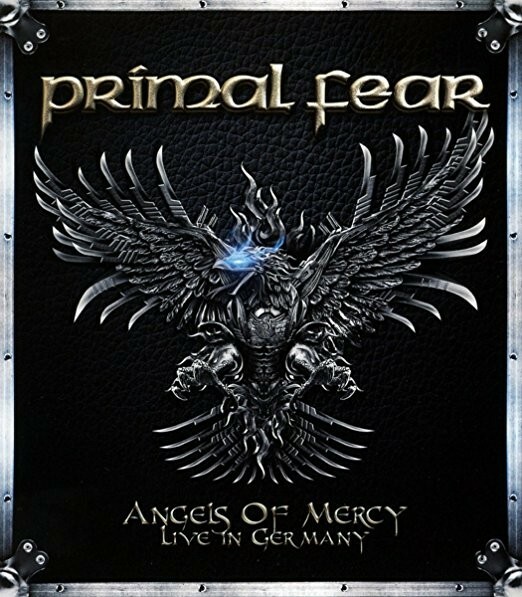 Recorded at the LKA Longhorn venue in Stuttgart on February 18th during last year's tour, this is Primal Fear at their absolute best! Vocalist Ralf Scheepers is from Esslingen, just under ten miles from Stuttgart city centre, so for him it was effectively a home town gig, as it was for Stuttgart native, bassist Mat Sinner; of course, they are the original duo that formed the band back in 1997, so for anyone questioning "why film in Stuttgart?" there is your answer. Released by Frontiers Records on CD, Blu-ray, DVD and vinyl, I've reviewed the CD/DVD package, and basically the CD is the live audio of the DVD. With eleven studio albums under their belt after the release of 'Rulebreaker' in January last year, it's never easy for a band to pick a set-list that will please all the fans, inevitably someone's favourite will be left out; third of their set here featured songs from that latest album. It was the first to feature ex-U.D.O. Italian drummer Francesco Jovino, who replaced Randy Black, thus you get the anthemic 'In Metal We Trust', the hard and heavy Germanic title track 'Rulebreaker', the fast and furious 'Angels Of Mercy', the riff-tastic scream-fest 'The End Is Near' and the fabulous ballad 'The Sky Is Burning'. Familiar favourites such as 'When Death Comes Knocking' (from 2014's 'Delivering The Black') and 'Metal Is Forever' (from 2004's 'Devil's Ground') are represented, as is the wonderful 'Seven Seals' title track from 2005. Guitarists Magnus Karlsson and Alex Beyrodt are on superb form and it's clear there's a lot of mutual respect for each other, as quite often during the show they doubled up on a twin guitar attack next to each other with knowing nods and winks and smiles all round. Scheepers's voice is crystal clear whilst Sinner, doubling up on backing vocals and occasional lead, creates a fuller vocal sound that fills the auditorium; his bass is clearly well represented in the mix. New drummer Jovino is warmly introduced by Scheepers during the show and indulges us with a technically adept drum solo, if not necessarily a spectacular one. I personally don't mind drum solos and there are some that are genuinely worth watching – Neil Peart and James Kottak readily spring to mind – however, the Stuttgart audience lapped it up regardless. Maybe it is because Black isn't greatly missed or perhaps most fans regard drummers as dispensable, which is rather harsh – would one say that about Peart, Kottak, Cozy Powell, Mike Portnoy, Tommy Lee, Mike Terrana etc.? The lighting is excellent, which can't always be said for live recorded broadcasts in the past, thankfully whilst there are occasionally some over-the-top lighting engineers, generally-speaking concert releases are much better lit these days. Most impressive is the quality of sound which is first rate and the camera angles – close ups and long distance zoom-ins over the audience from the back – all add to the visual spectacle. 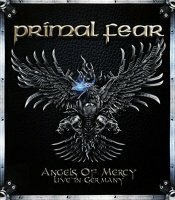 Overall, it's a fabulous package and thoroughly recommended, particularly for Primal Fear fans!